Cool and fashionable, with an amazing mission, STATE is a brand you MUST know! 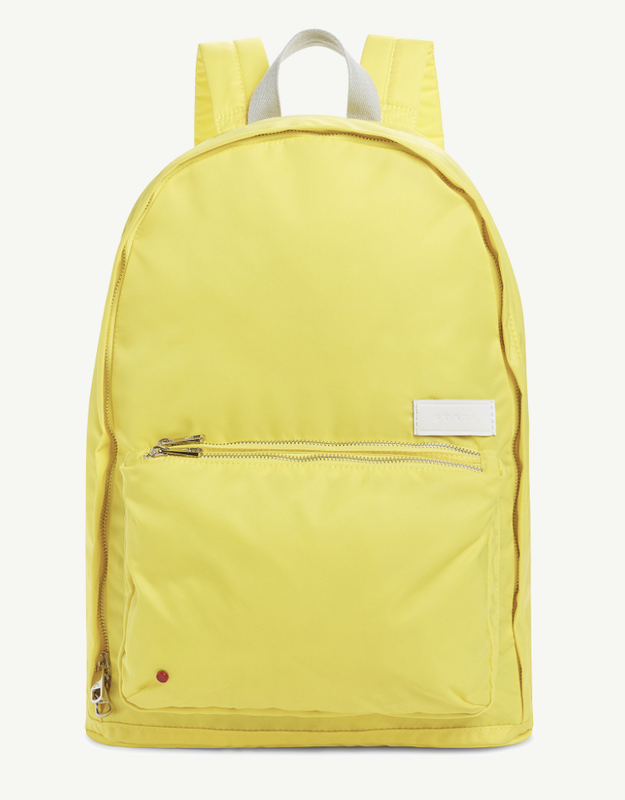 Not only are our kids obsessed with these backpacks, it's become our ultimate GO TO GIFT for all our kids friends. 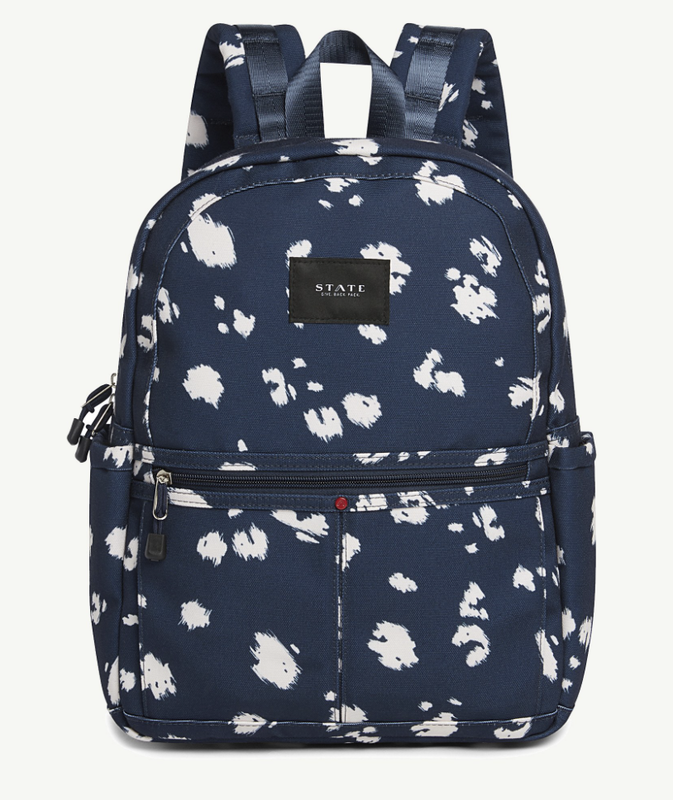 Their backpacks are sturdy, incredibly stylish and perfect for school, work or travel. And for every STATE bag purchased, STATE hand-delivers a backpack - packed with essential tools for success - to an American child in need. We were HONORED when Scot Tatelman, co- founder of STATE, (he shares his company with his wife Jacq), spent time to discuss his business, the company's mission and their new initiative #whatdowetellthekids. Read on to learn more about this amazing company and make sure to check out their site.. we promise you will be inspired and become obsessed too! You guys have been working together for a while, did you always want to work together as husband and wife? Nine years ago we started a non profit summer camp called Camp Power that sends hundreds of children from impoverished neighborhoods to this week long sleep away camp in the Pocono Mountains. During the camp we saw this recurring theme of kids bringing all their belongings in trash bags and it made us realize these kids need new bags, new clothes and new shoes, and it made us to want to do more. This lead us to establish STATE. We established STATE with a mission to serve American kids in need through our GIVEBACKPACK program, which amplifies the buy-one, give-one model with a more local, long-form approach. 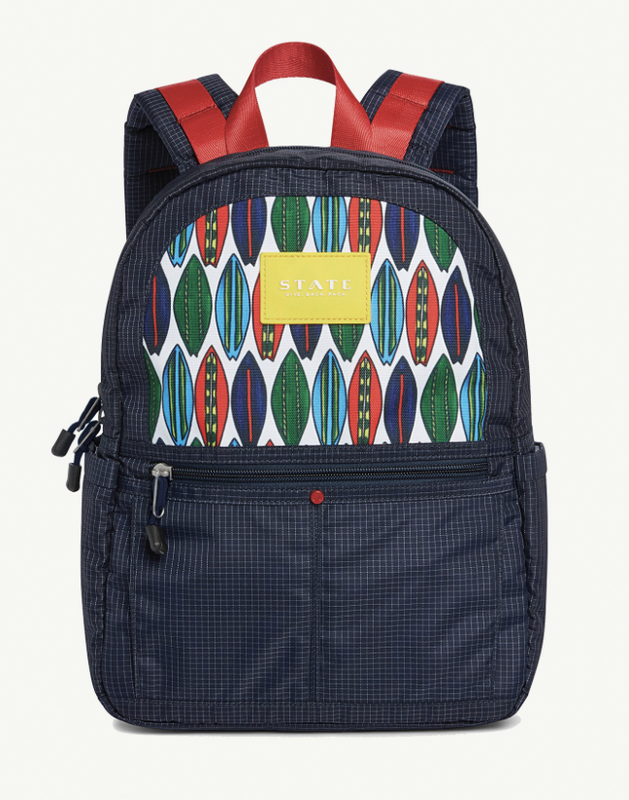 For each bag sold, STATE hand delivers a fully stocked backpack to an American child in need. 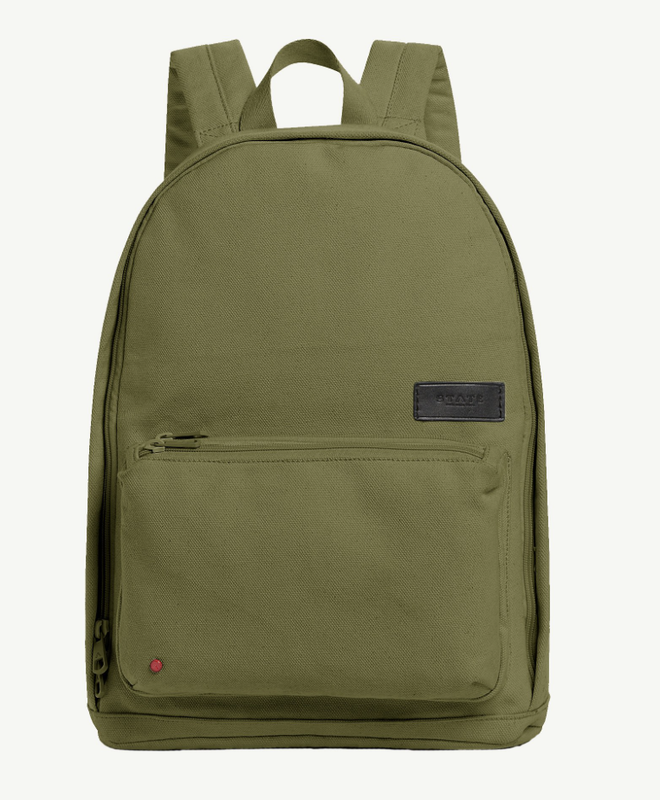 We wanted to create a company that would give back packs back into the community so we built it off the one for one model. We focus on kids in America and do it in a special way that is different than just handing out the bags to the kids. We have a GIVE BACK PACK rally with motivational speakers that get kids excited and inspired about their future and then we hand out the backpacks. We always knew we wanted to do something creative, something with our heart but also working in fashion. Where do you find inspiration for each season and your products? Our camp has also always given us inspiration. Jacqueline has always had a fashionable eye, she's worked in fashion most of her career and is always seeking different trends she sees in the market place. Living in NYC and seeing all the culture, art and people on the streets gives us daily inspiration for our products. Additionally, being parents to two young kids, we are always focusing on the brand and making sure it fits right for our family knowing it will be right for other families too. Biggest challenge you’ve run into running your own business? Leveraging big moments and capitalizing on major milestones. What is your biggest aha moment? Learning the importance of our mission and really trying to lead with it wasn't the easiest way to get people excited and inspired about our products. We were so proud of our mission and wanted to lead with it but it wasn't exactly translating into selling the bags. This lead us to a rebranding of our company so we could make our bags cool and fashionable along with the giving component. We learned this is what our consumers want. They want to have something that is cool, sophisticated and fashionable that they feel proud to wear AND feel good about the giving component. They had to go hand in hand. What app most changed your life? Shopify. One tip: Love what you do and love who you do it with. I absolutely love going to work with my wife, we always have the foundation of loving each other and we are passionate about our mission. Surround yourself with people who you really enjoy working with and build a company you feel proud of. One item you can’t live without? Grandfather’s dog tags. He was such an important person in my life and I want to honor him. It's the one item I must have with me at all times. Favorite go to gift? I'm obsessed with sneakers so I give my wife and kids sneakers. It's the one thing I make sure I'm in charge of in the family. You recently launched a new initiative #whatdowetellthekids? What do we tell the kids? It's a question I've been asking myself and obsessing over in recent months. It started with the rise of the #BlackLivesMatter Movement, and intensified while watching the vicious, mean-spirited and often embarrassing 2016 election season. Through it all, I came back to the question...what do we tell the kids? Read more on their site about this wonderful initiative and how we all can get involved with educating our kids to not use harmful words that have impacted and hurt so many amazing people. Or you can click HERE to read about the initiative on their site or HERE to read about a post Teen Vogue recently featured. To learn more about Country Roads Foundation and how you can help, click HERE.